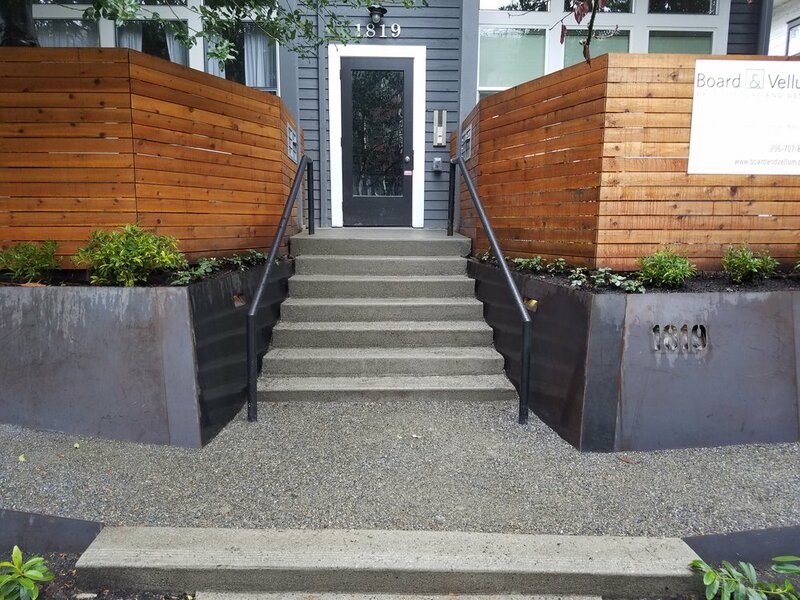 The front entrance of this Seattle Condo building was reworked with corten steel retaining walls and steel cladding. The walls have inset step lights and a backlit address number sign. 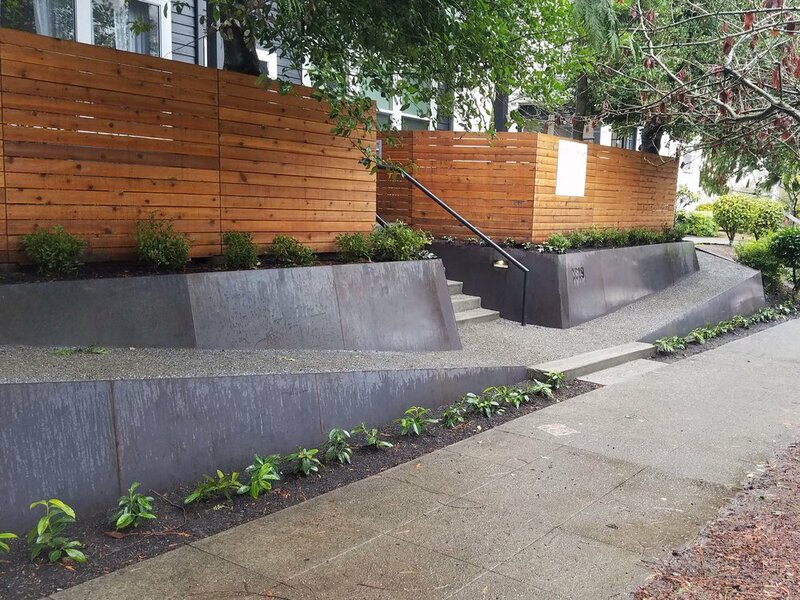 Architerra Designs was tasked with renovating the front entrance and landscaping to this multifamily building on Seattle's Capital Hill. The existing retaining walls and stairs leading to the sides of the building were reworked using corten steel as cladding for the rebuilt cmu block wall. The new retaining walls provided easy access to either side of the building. There are several inset step lights as well as a backlit address number cut out of the wall.